Create colourful and tasty candy floss using our vibrant retro candy floss machines. 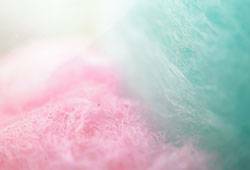 Bright lights, rides, carnival games and candy floss are the highlights of any funfair, so bring back those happy memories with our range of vintage styled candy floss machines. The large 50cm stainless steel bowl can produce large quantities of delicious candy floss, so use with our bamboo sticks to easily create a product with an enviable mark-up. Ideal machine for use at parties, schools, funfairs, festivals and anywhere people congregate, our commercial candy floss makers feature simple controls and a handy built-in drawer for storing spare ingredients or change. All of our candy floss machines are covered by the MonsterShop warranty, so buy with complete confidence.